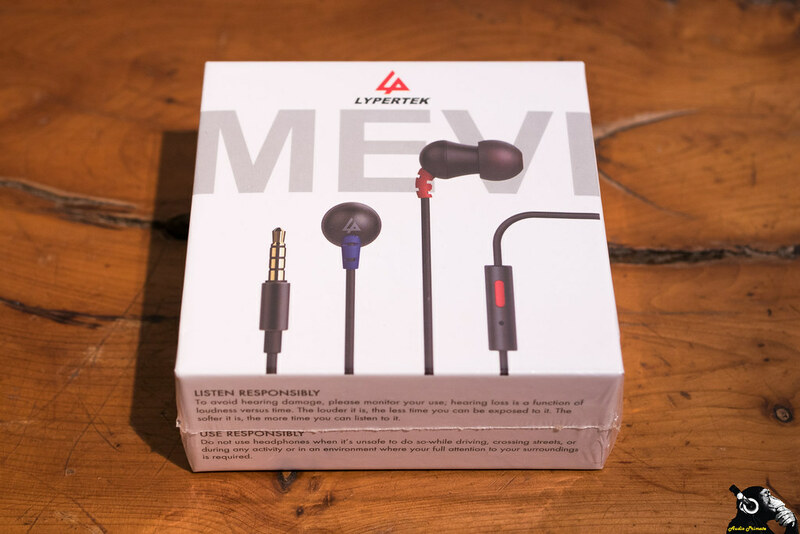 The Lypertek Mevi was supplied by Penon Audio, I do not have to return it after the review. I have not been paid for this review. The views are are my own. 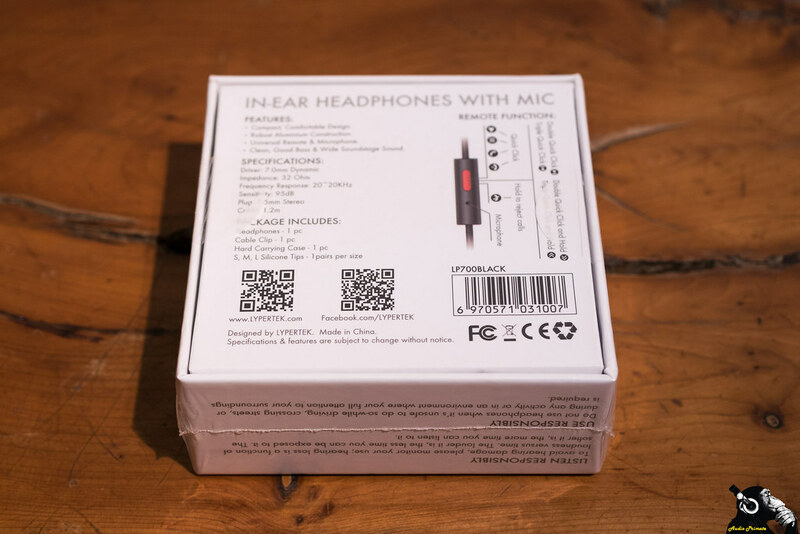 The box is a tiny, simple square box with the product specifications on the back, which I always like having. It has a built in retail hook, that’s convenient. There are many much more expensive IEMs that don’t list basically any of their specifications. I guess trade ‘secrets’ come with high priced goods. The case is a good durability hard nylon variety. 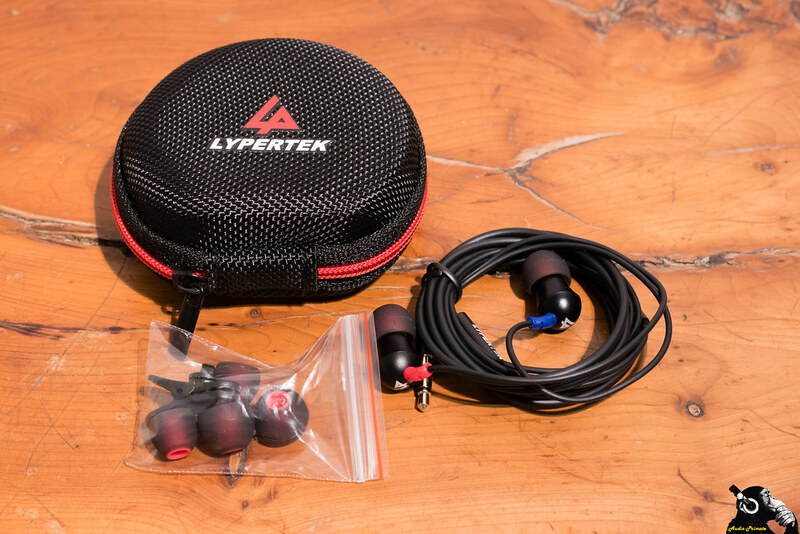 It isn’t waterproof, it isn’t plastic or metal, but it’s crush resistant and well-welcomed in a budget IEM. The IEM shells are aluminum in a horn shape, they are a bit broad where the nozzle meets the head. This may cause discomfort for some. It took me a while to find the right insertion depth and position. The strain reliefs at the shell look like they are going to be productive, but they are actually pretty flimsy. I like the colour-coding. That’s helpful for identifying left and right. As is usual red is right and blue is left. If you want to find the right earpiece in the dark, find the mic module, that’s the right. I used the mic module on a phonecall about a projector. It worked well. Strain-relief at the jack-plug is also pretty flimsy. The cable clip is a good inclusion as the y-split tends to bounce and cause microphonics. Build quality issues: Mevi is misprinted on the y-split as Mavi, which is Turkish for blue, whoops; one of the earpieces has a poor print (kind of looks like dust got in the print); and on the case the print is crooked. Once again, I’m listening out of the punchy budget player, the Hiby R3 ($229). It’s a lot easier to get appropriate volume control on a dedicated player. What’s up with the 16 steps on your average phone? It’s so bloody stupid. My phone is actually pretty good sounding, but for the volume control issues. The Lypertek Mevi have about 20 hours of playback at this point. I’ve done no formal burn-in, so the final sound comparisons when it comes to countdown time may be a little different. I don’t think most people would be burning in their $50 product in a drawer to 200 hours of classical piano music. They’d listen out of the box and get a bit of brain burn-in while any burn-in of the driver (if it occurs) happens unnoticed. These are punchy with clear mids. The stage width is pretty good, pushing right out to the edges of the ears and beyond. Stage height is also right up at the top of the head and sometimes extending further. Infected Mushroom – Deeply Disturbed gives a good demonstration of overhead sounds and overall width on these. Stage depth is limited. There is a good level of detail coming through. They favour treble and the lower mids/midbass a bit. This is pretty clear on Macy Gray – Annabelle (off Stripped) as the stand-up bass springs forward and Macy Gray’s vocals are a touch recessed. There is a little bit of tizz to cymbals rather than a full-bodied shimmer. Modest Mouse – Lives gives the Lypertek Mevi the opportunity to show off some good fidelity on acoustic guitar and excellent instrument spacing in the stage. It does a good job separating out the soft female supporting vocals in the stage. It’s a very well done presentation. The Moon and Antarctica is such an excellent album. On Wilco – Theologians the bass is bloomy and thick but still maintains some texture. It’s accentuated, but not in a bad way. On vinyl rips, I notice the low level vinyl noise on the digital track. The little bit of emphasis in the treble actually pulls this noise out a little more. 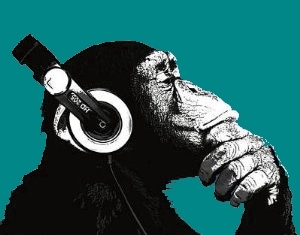 It’s especially apparent when I’m listening to Queen – Bohemian Rhapsody. Jibbers Crabst, Freddy Mercury had the voice of an angel. Jibbers Crabst is a mythological character created by Matthew Inman (aka The Oatmeal). Video link is above. It’s funny. The presentation on Bohemian Rhapsody is forceful and engaging with powerful drum strikes and strong vocals. I’m really enjoying these IEMs. The presentation has accentuated dynamics, so I could see these getting fatiguing over time for me, as I tend toward the neutral-musical rather than the more v-shaped presentation of the Mevi.